The not so heavy rainfall that usually occurs in autumn softens the ground, which makes regarding much easier in the fall compared to the other seasons, especially when combined with autumn’s cool temperatures. Re-grading to alter the slope of your lawn provides an excellent drainage solution to drainage issues, and you can usually accomplish such alterations by redistributing the soil in your lawn. You will, however, need the right types of soil, materials, tools, and instructions to be sure the changes you effect on the slope of your lawn solve your drainage problems. Below are the steps you should follow to effectively re-grade your yard during the fall. You will need a shovel, wood stakes, a backhoe, and string. 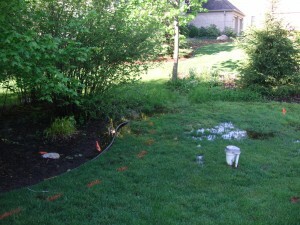 Before you alter the slope in your yard, examine the lawn for depressed spots in which water might pool as it drains. You should also assess the subsoil and topsoil in your yard to determine the soil’s basic composition. Water usually flows much faster on clay-based soil than it does on sand-based or loam-based soils. If adding soil to alter the slope in your yard is your intention, it is important that you settle on a type of soil that creates the right drainage. Check for telephone, electrical, water, sprinkler or sewer lines before you start digging up the yard to remove soil from higher areas. Some or all of these utility lines might be buried in your yard, which means you can damage them while digging. Use colored flags to mark any lines you find buried in your lawn and try to determine how deep they are buried. You can check with local utilities or even have their technicians locate these service lines for you if necessary. Start by determining the high and low points of the drainage slope. 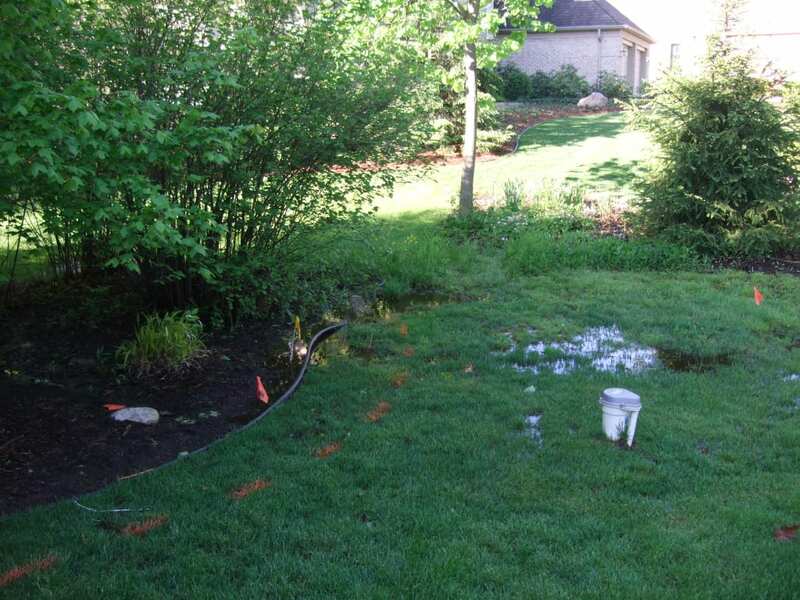 The lowest point should be where water drains into a storm sewer, gutter, or holding pond while the high point should be near your home’s foundation. At each point, drive a stake into the ground and tie one end of the string to each of the stakes. Remember to ensure the string is taut. Measure the sloping degree starting from the high point to the low one once you are done tying the string. The slope should drop at least 12 inches every 50 feet. Ensure you tie the string at the same level from the ground for both stakes. • Remove soil from the lower point. • Add soil to the slope’s high point. • Move the existing soil from the lower point to the higher point. If you will need to bring in more soil, try to choose a type similar to the existing soil since this ensures the drainage will be consistent throughout your yard.